New! 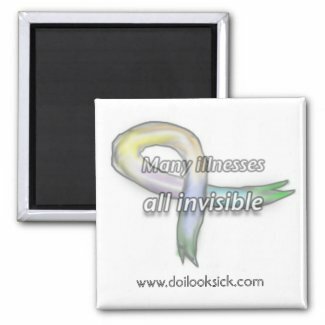 Stickers for Invisible Illness Awareness – Do I Look Sick? 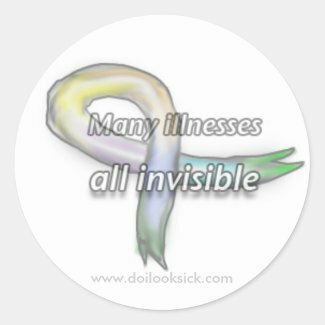 With Invisible Illness Awareness Week coming up (Sept. 8!) I thought I’d do a little sale in the shop to offer some easy, cheap ways to raise awareness! Use the code URSTICKYSALE at checkout to get 50% off our all new stickers AND our magnets and buttons! That same code will also get you 10% off anything in the store, so now’s the time to spring for that t-shirt you’ve been eying! 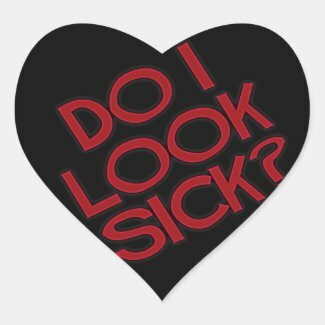 Thanks for all the well wishes on the food poisoning front. I stayed home from work and slept for something insane like 14 hours and I’m starting to feel a little hungry… fingers crossed that I can eat something today!